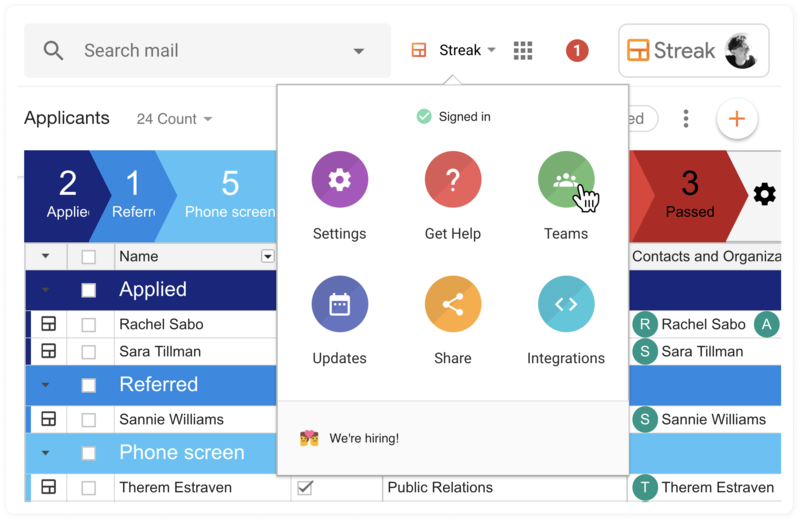 Ready to start utilizing Streak's fully-featured CRM? Each Streak plan package includes a select set of features. Our subscription prices and offerings can be viewed on our Pricing page. You can go from a free to a paid plan from the Teams page. Please note that upgrading for your team makes you the party responsible for billing. Select the plan that is right for your team. Review the billing information and confirm by pressing the Subscribe button at the bottom of the window. Enter your card information and select Pay. The change will go through instantly, but – if your browser has built cache – you might need to refresh your browser to gain access to every feature.